Beguin, J., Prevost, M., Pothier, D. and Cote, S.D. (2009) Establishment of natural regeneration under severe browsing pressure from white-tailed deer after group seed-tree cutting with scarification on Anticosti Island. 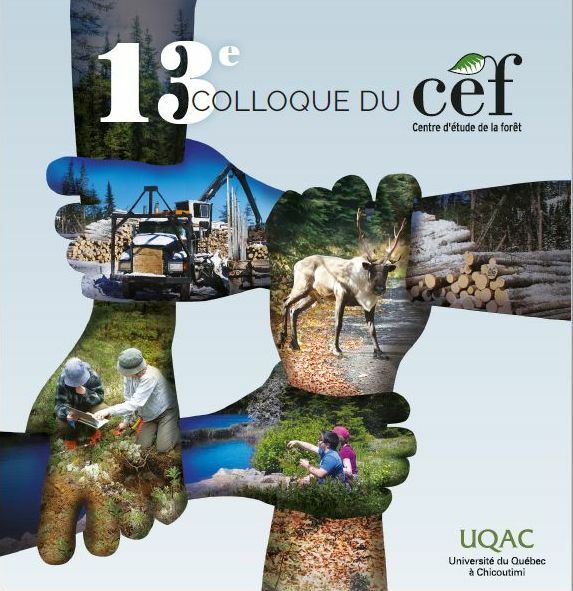 Canadian Journal of Forest Research, 39(3):596-605. The use of large clearcuts with protection of advance regeneration is inappropriate for regeneration of balsam fir (Abies balsamea (L.) Mill.) under severe browsing from white-tailed deer (Odocoileus virginianus (Zimmermann)). However, little is known about the effects of tree-retention methods along with scarification on the establishment of balsam fir in a context of severe herbivory. Consequently, we hypothesized that seed-tree-group cutting in conjunction with soil scarification creates favourable conditions for balsam fir regeneration. In 1998 and 1999 we set up three circular forest groups of different sizes (40, 60, and 80 m in diameter) surrounded by three different intensities of scarification (no treatment, single pass, double pass) in two balsam fir stands on Anticosti Island, Quebec, Canada. Moreover, we used a network of fenced and unfenced regeneration plots to evaluate the impact of white-tailed deer browsing. The results showed that up to 7 years after harvest, seed-tree-group cutting did not improve the establishment of conifer species. Scarification had a negative impact on the abundance of conifer species, whereas white birch (Betula papyrifera Marshall) density was significantly higher in areas scarified twice than in unscarified areas. Overall, the development of palatable tree species appears unlikely at deer densities >20 individuals/km(2).